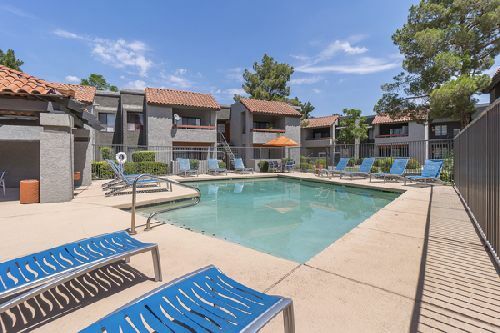 Sanctuary on 22nd, a 266-unit apartment community in Phoenix, sold for $31.8 mil ($119.5k/unit) in a recent deal. The property, located at 8530 N. 22nd Ave, was acquired by a private investor. Built in 1985, Sanctuary on 22nd offers a mix of one- and two-bedroom units, with an average size of 788 sf. Each unit features an oversized patio and full-size washer and dryer. Select units offer a fireplace option. On-site amenities include two pools, a modern fitness center, clubhouse and business center. The community sits on 10.14 acres situated between Dunlap and Northern Avenues, less than one-half mile from Interstate 17 and a METRO Light Rail station, providing quick connectivity to all parts of the Valley. John Cunningham and Charles Steele with JLL represented the seller, Laguna Point Properties. According to Steele, Sanctuary on 22nd is a significant value-add opportunity in an area with high demand and minimal new multifamily construction.